Earlier tonight, Princess Tessy attended a charity dinner to benefit the Special Olympics Luxembourg. 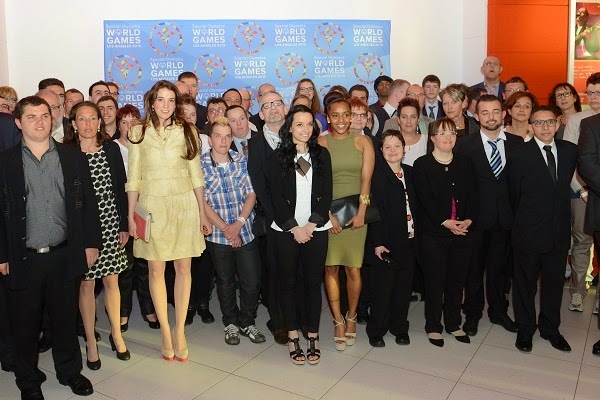 The event at the Casino in Mondorf-les-Bains raised money for the Special Olympics athletes' participation in this year's World Summer Games to take place in Los Angeles. No pictures yet but they will be added if and when they become available. Simply head over to Chronicle.lu and Tageblatt for more visuals. As a side note: Attentive me couldn't help but notice that this was the first time Princess Tessy went to an official event representing the Grand Ducal Family all on her own. A little less than two years ago, the wife of Prince Louis first went solo with her husband without any other family accompanying them. That there is no standard procedure for these kinds of things is also highlighted by our posts chronicling the Hereditary Grand Duchess' first solo engagement.